Bundesliga | Relive Usain Bolt's trial with Borussia Dortmund! Relive Usain Bolt's trial with Borussia Dortmund! 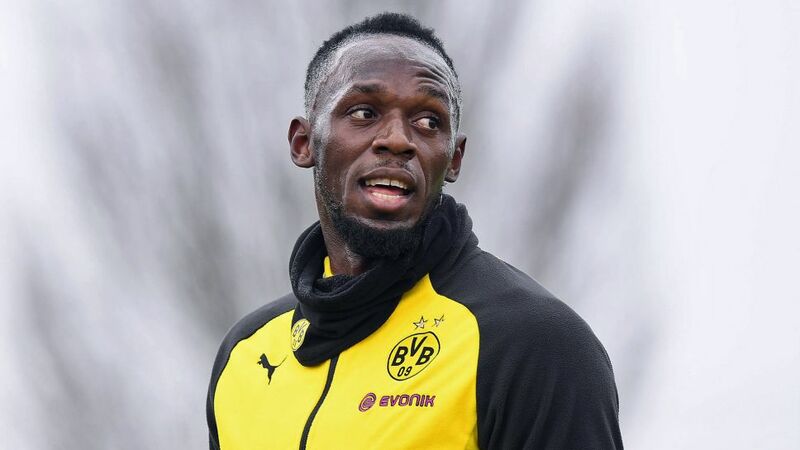 Watch: Relive Usain Bolt's training session Borussia Dortmund! The eight-time Olympic champion retired last year after a turbo-charged athletics career that also included 11 world titles, but was in determined mood to make a name for himself playing the beautiful game, judging by his performance in an early-morning training session with Die Schwarzgelben. Watch: Usain Bolt's classy header during BVB training! After some light stretching under the guise of BVB coach Peter Stöger, the sprint king eased into a training game that not only produced a wonderfully-taken headed goal, but also a magical nutmeg that delighted the enthralled spectators. Following the workout, Bolt momentarily sat on the turf, sweat dripping from his brow and his lungs working hard following his huge efforts. After that, it was time for some of Dortmund's players to pose for photos with the great man, who later approached fans to sign autographs. Watch: Bolt: "I want to keep training and hopefully sign!" Watch: Usain Bolt and THAT cheeky nutmeg! If Dortmund deem Bolt's trial a success, he could come face to face on a football field with the man currently keen on taking his mantle as Jamaica's most famous sportsman, Bayer Leverkusen winger Leon Bailey. Bolt himself certainly hopes he is given the chance to train again. "Hopefully the team welcome me in the near future," Bolt explained. I'd like to continue training with them, getting more experience, getting better and hopefully signing. You never know."